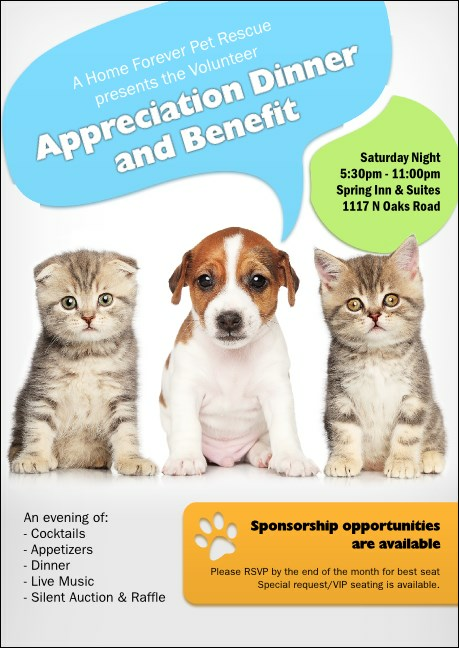 Advertise your event in advance to all the animal lovers you know when you print Animal Rescue Postcards and send them to your guest list. Promote your appreciation for those who give pets good homes with Postcard templates that feature a sweet puppy and two curious little kittens on a light-colored background. Don’t chase your tail! Advertise with TicketPrinting.com.